I love fast tips-don’t you? Especially when they save you a ton of time and energy-that’s exactly what today’s tip does! Today I want to show you the easy way to peel garlic in 30 seconds-literally peel an ENTIRE HEAD of garlic that fast!! Awesome right? If you don’t want to watch the video the premise is simple: simply put the garlic in a large mason jar or other closed top container and shake the dickens out of it! Really put your arms to work and then pour out the garlic-you’ll see that most, if not all of the garlic has separated and the peels have come off! Easy peasy! Have you heard of this trick yet? 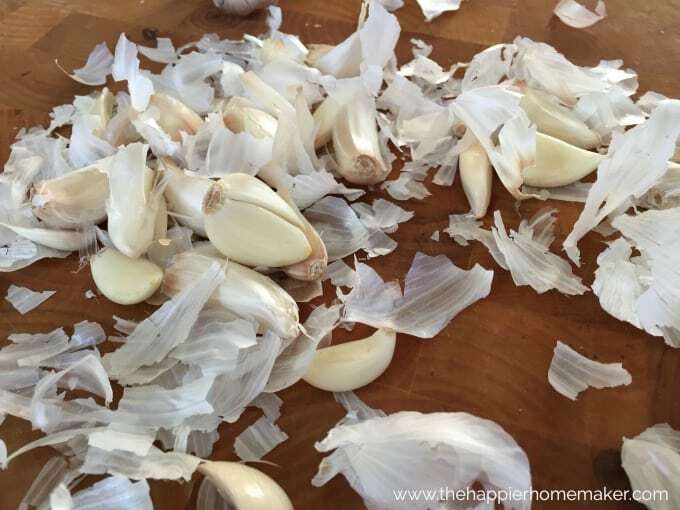 Any other garlic tips and tricks you can share-let me know in the comments! !